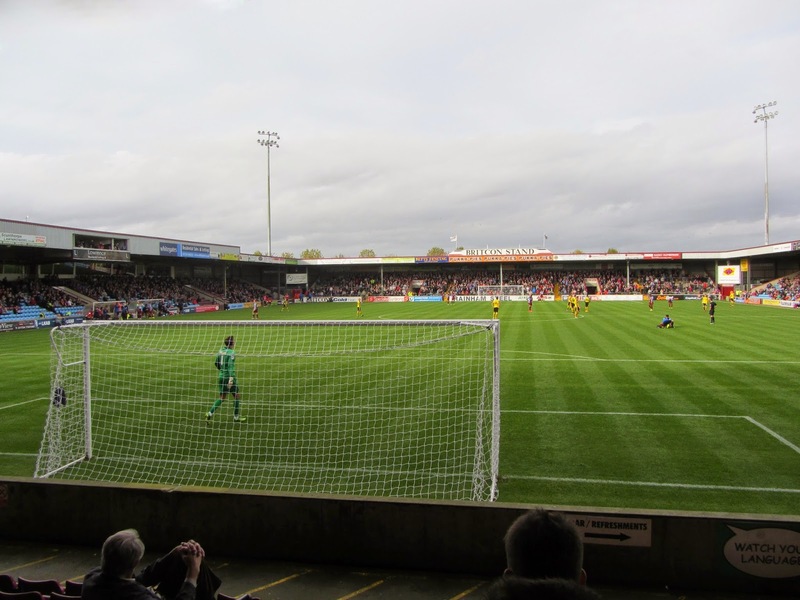 My twentieth stadium of 2014 was on Saturday 18th October at Glanford Park in Scunthorpe, Lincolnshire. The match was Scunthorpe United vs. Colchester United in Football League One. Glanford Park sits adjacent to a retail park right on the western edge of the town. This runs alongside the M181 motorway and is 2 miles west of Scunthorpe railway station. The club left their former home at the Old Showground to move to the venue in 1988 but plans are afoot to move once again to a new all-seater ground. 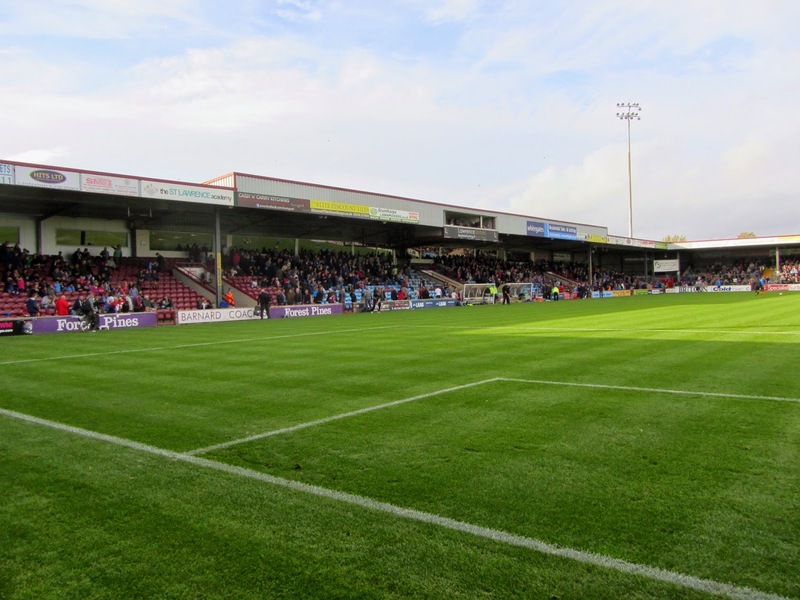 From the outside Glanford Park is one of the least aesthetically pleasing stadiums in the Football League drawing comparisons with the appearance of a warehouse. This has been improved slightly as the club recently installed a wrap celebrating the team's successes over the years. Inside the 9,088 capacity ground is an enclosed rectangle shape with blocked off corners resulting in the spectator areas being split into the four sections. Only the North Stand consists of terracing with the more vocal home fans inhabiting this area. 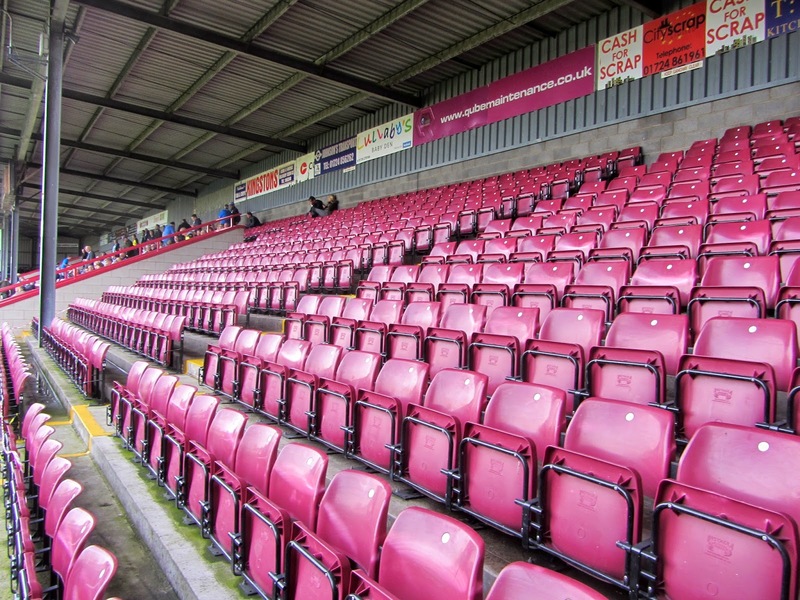 This part of Glanford Park was under threat of being converted to seating while Scunthorpe were in the second tier but relegation coupled with the announcement of another stadium move put pay to these plans. The remaining three sides of the ground are seated with away fans positioned in the South Stand. There are a number of supporting beams across all of the stands in the ground which can restrict views but the the fairly low roof does mean the sound is retained better than some more modern venues. 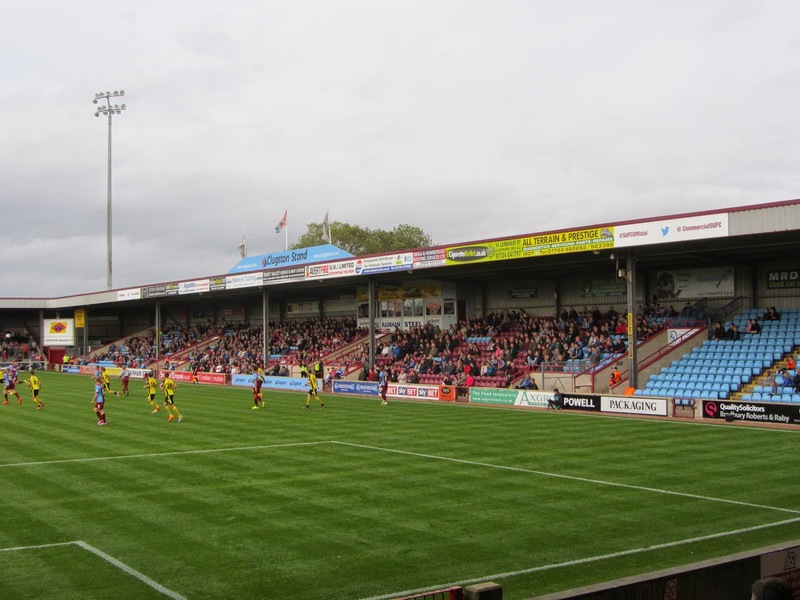 When Glanford Park arose Scunthorpe were the first Football League club in several decades to go for a new purpose-built stadium and they have recently decided that stadium design has moved on sufficiently to warrant another move to a new home at some point in the next few years. The match was the first for Scunthorpe under their newly appointed manager Mark Robins but it was Colchester who almost took the lead early on. Sam Walker caught a Scunthorpe corner and the resulting fast counter-attack saw Freddie Sears hit the underside of the bar. Barely three minutes later the hosts opened the scoring against the run of play. Gary McSheffrey floated a free-kick into the box and Rory Fallon took advantage of slack Colchester defending to nod home from close range. In the 33rd minute the visitors got an equaliser when a slick passing move culminated in Freddie Sears striking a 20 yard effort into the bottom corner of the net and the visiting side remained on top in the second period. In the 80th minute Colchester had a glorious opportunity to go into the lead when George Moncur blazed over from a few yards out after a penalty box scramble. In the 92nd minute another chance went begging, this time as Rhys Healey's effort came back off the post. Shortly after the final whistle went with the hosts hanging on for a point.